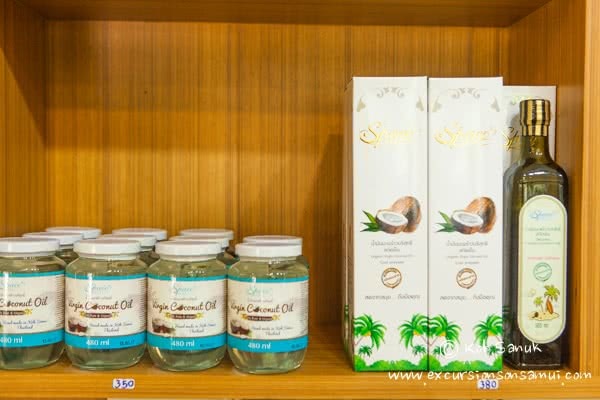 At coconut farm, you will see all secrets of coconut oil production. 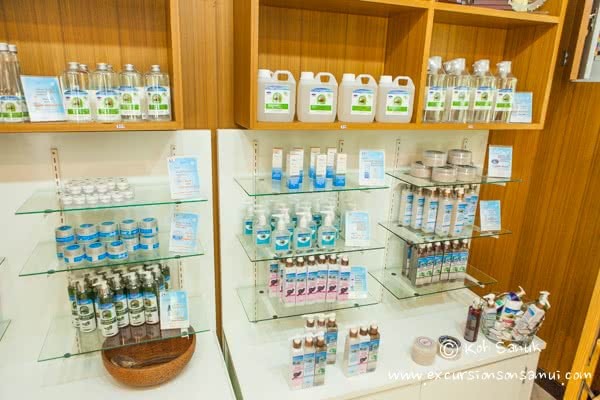 At the end of our excursion, you can buy organic virgin coconut oil and cosmetics made of coconuts - scrubs, lip balms, hair oils, lotions, shampoos, conditioners, lotions, soaps, etc. You can buy a coconut massage slippers, made of "shell" coconut - a beautiful and useful gift for family and friends. 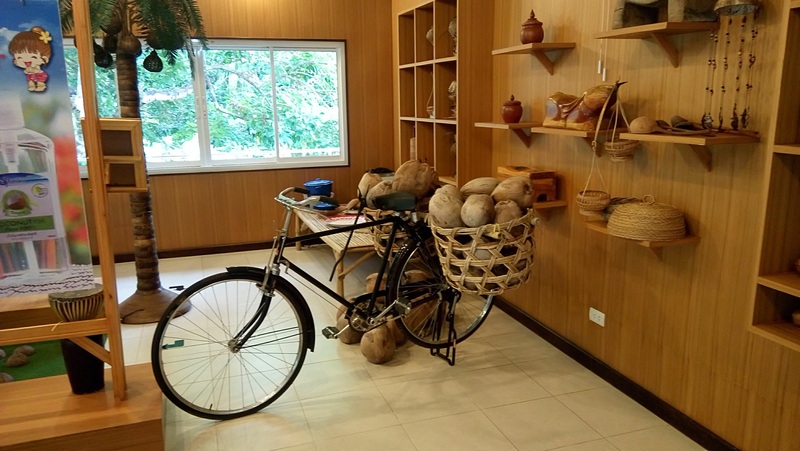 We would like to invite you to an amazing coconut farm and a new interesting coconut museum on this farm. 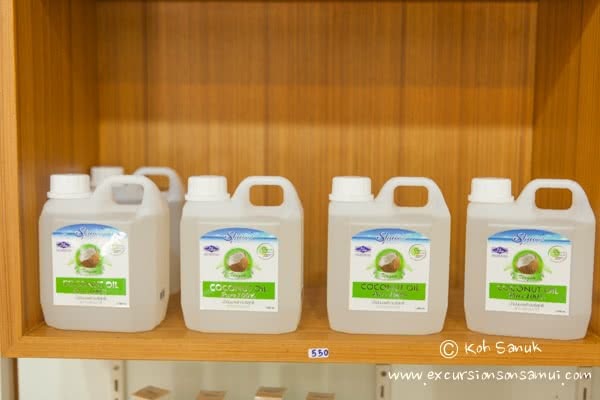 You will see how organic virgin coconut oil is produced. This is done by an ecological method of fermentation which takes 8 hours. 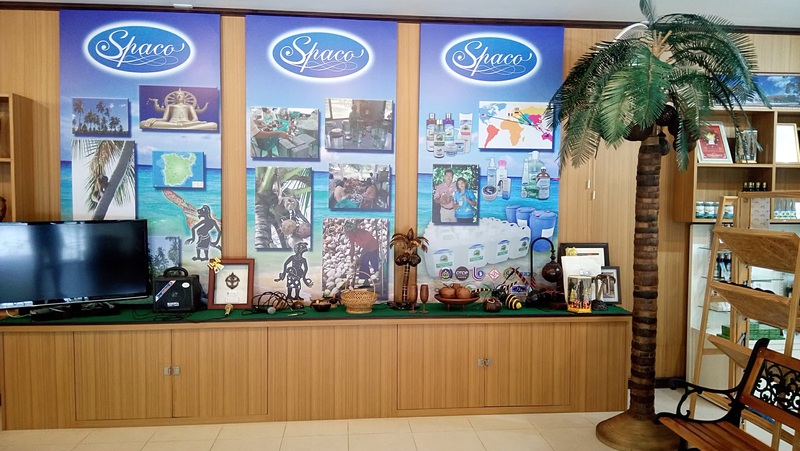 You should come to the farm in the morning (at about 08.30 – 10.00) to see the whole production process – from cutting brown coconut to “Spaco” jars of oil. Each day about 900 coconuts are used to produce the oil. 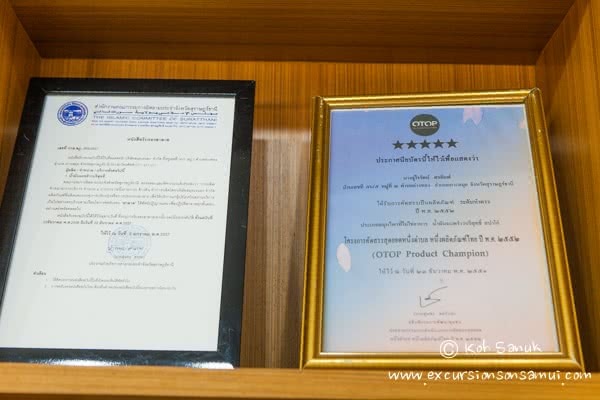 This farm supplies the major cosmetics company in the United States. 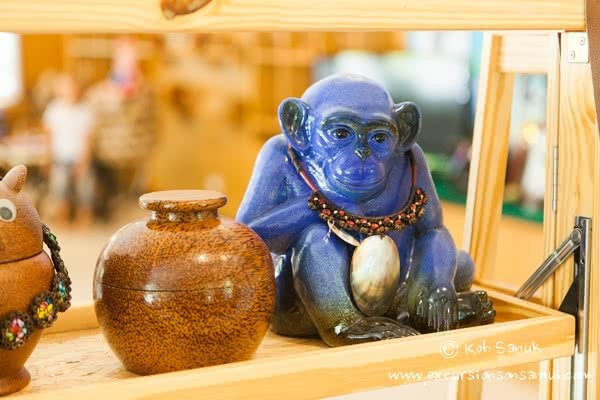 If you wish, we can invite the local monkey with its master to show you the process of coconuts “harvesting”. They screw up to 1000 coconuts each day. 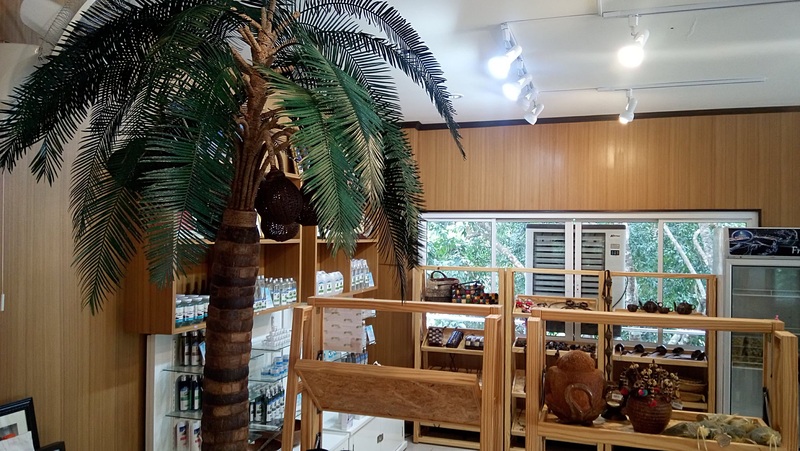 We promise that you will not be bored – our guide will tell you about the history of “coconut” island, will show how coconuts are used to produce musical instruments, interior items and original souvenirs (in the shop you can buy unusual coconut trinkets). You will see an interesting film about oil production and will step on coconut bowls, thus checking your health. 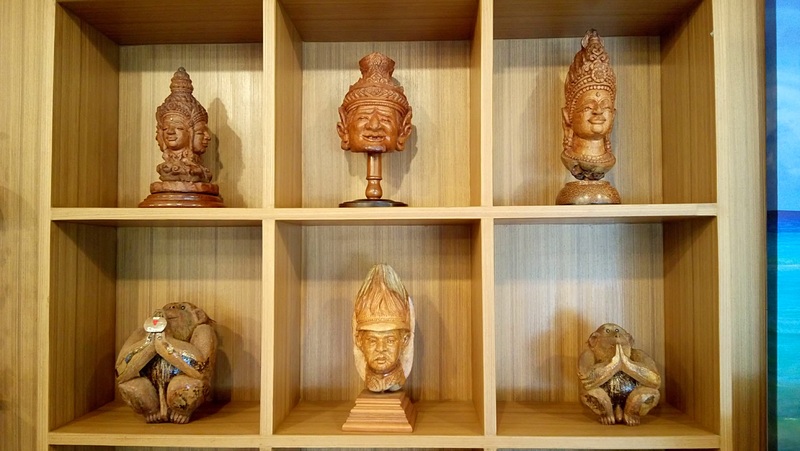 You will know (and even see), what is the “one-eyed” coconut and why every Thai wants to find it. 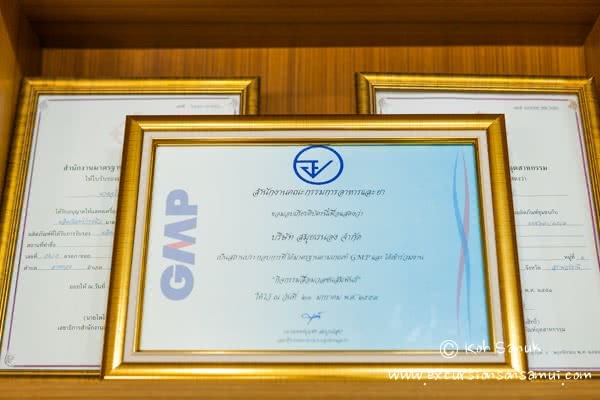 We will tell you what is valuable in coconut oil and what are the unique characteristics of Samui coconut oil. 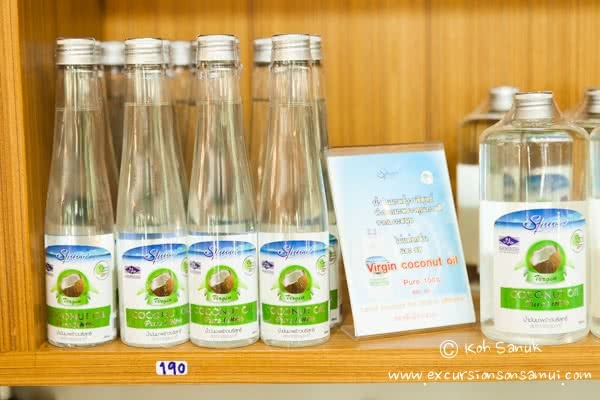 In the end, we will treat you to a unique drink – cool juice of old coconut which is much more healthier and delicious than a fresh one, and which is impossible to buy anywhere. 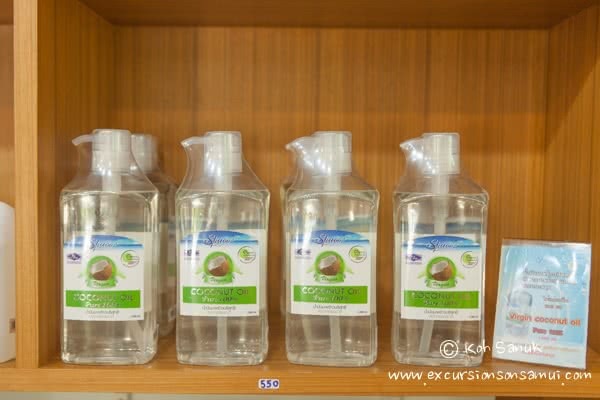 At the end of our excursion, you can buy organic virgin coconut oil and cosmetics made of coconuts – scrubs, lip balms, hair oils, lotions, shampoos, conditioners, lotions, soaps, etc. 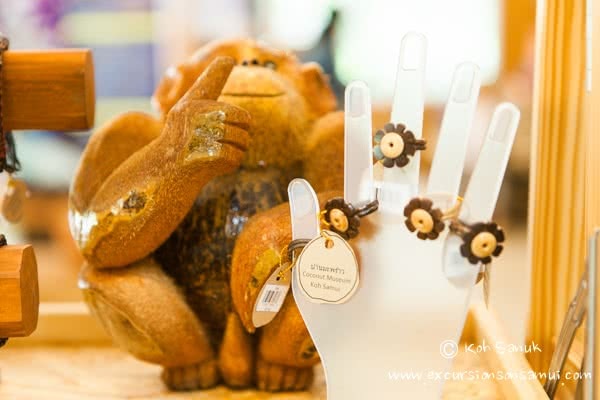 You can purchase coconut massage slippers, made of coconut “shell” – a beautiful and useful gift for family and friends.